INDOORS - Keep in a cool room, night temperature should not exceed 68°F. Keep in bright light away from direct sunlight. Water completely and let dry between waterings. 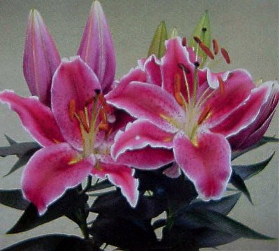 OUTDOORS - Lilies can be planted in the spring or fall, plant bulbs in well-drained, loose, friable soil that contains plenty of decayed organic matter. They should be in a location that receives full sun or light shade. Water regularly while growing, mulch plants with leaf mold, peat moss, or compost. 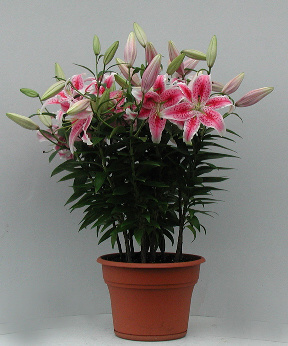 This also helps to provide the cool soil, which Lilies prefer.